Each bishop kit includes a blocked bishop ready to smock and finish assembly using a bishop pattern of your choice. The bias neck band and placket are included along with snaps. 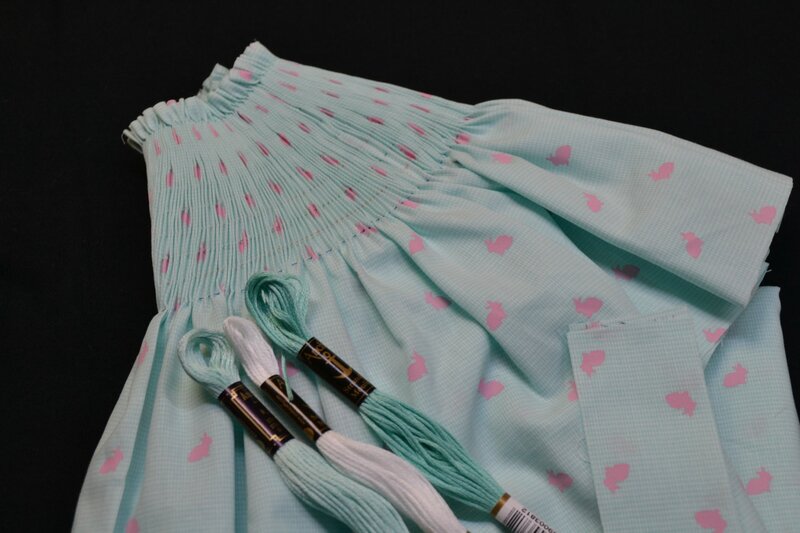 The kit also includes 3 skeins of matching Anchor embroidery floss and a #7 long darner needle.